The animals can’t live without the head and they can live only up to 5 to 10 minutes but the cockroaches can live up to 10 days without the head. The reason for this is the pulse system of the cockroach is different. We generally work with both the pulse and brain to solve the problems. There won’t be any relation between the working of the pulse and brain of the cockroach. 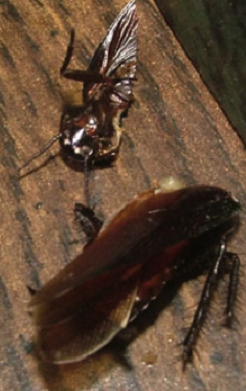 The cockroach uses the brain for opposing actions and so it can live up to few days with the help of the chest. The cockroach dies only when the food is not available even after the head is separated. The female cockroaches push out the eggs stored in their body before dying.